Home » Toyota Camry » How powerful is the new 2019 Toyota Camry? How powerful is the new 2019 Toyota Camry? 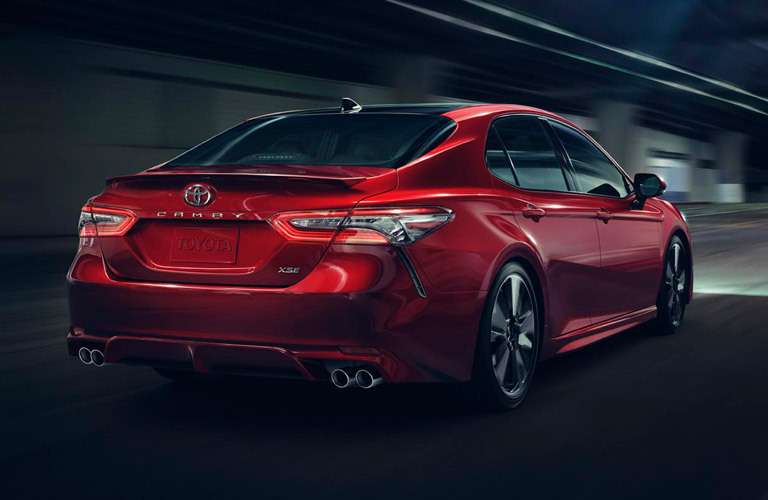 The first thing you think of when you picture the Toyota Camry might not be a searing, red-line nearing, adrenaline-infused drive, and you’d be forgiven for thinking that its bread and butter still lies in the kind of versatility and reliability that has drawn drivers to this sedan icon for generations. However, that doesn’t change the fact that the Camry has some serious punch lying under its hood and throughout its chassis. To see what we’re talking about, join Alexander Toyota today as we take you on a tour of the 2019 Toyota Camry engine options and performance ratings! 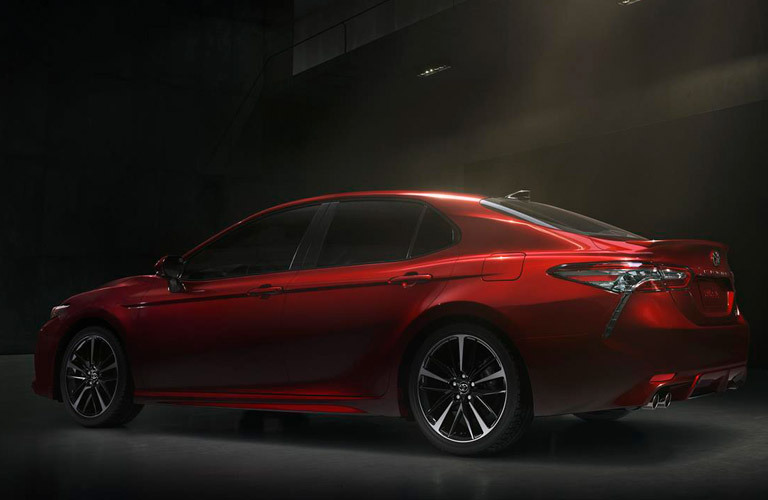 Two motors form the basis of the 2019 Camry’s drive style, in the form of a 2.5-liter Dynamic Force Four-Cylinder and 3.5-liter V6 engine. Both of these operate by utilizing a D-4S direct-injection system, which helps to provide as much juice as possible every time you step on the pedal. And believe us, there’s a lot of power to go around. More specifically, the Camry’s engines can produce a maximum rating of 203 and 301 horsepower, respectively, as well as 184 and 267 respective pound-feet of torque. Not too shabby. Of course, there’s plenty of innovation to supplement the serious punch that the 2019 Camry can unleash. It provides a Direct-Shift 8-Speed automatic transmission to harness the energy; combined with an independent MacPherson strut front suspension, this sedan can keep your drive smooth and responsive at the same time! Even so, you might need something different out of your drive depending on where you’re headed. That’s no problem for the 2019 Camry either, as it offers three selectable drive modes (ECO, Normal and Sport) that tailor to your specific style. More Info: How much space is inside the 2019 Toyota Corolla Hatchback? Tired of just reading about the 2019 Camry and want to check it out for yourself? We’ve got you covered; be sure to contact Alexander Toyota at your earliest convenience, and we’ll get you set up with a test drive! This entry was posted on Tuesday, September 18th, 2018 at 6:33 pm	and is filed under Toyota Camry. You can follow any responses to this entry through the RSS 2.0 feed. You can skip to the end and leave a response. Pinging is currently not allowed.